I love technology and increasingly, so does the general public. The Internet has become a basic part of society and keeping up with email accounts, social networking and who-knows-what-else becomes an issue for those of us living a fairly mobile lifestyle. 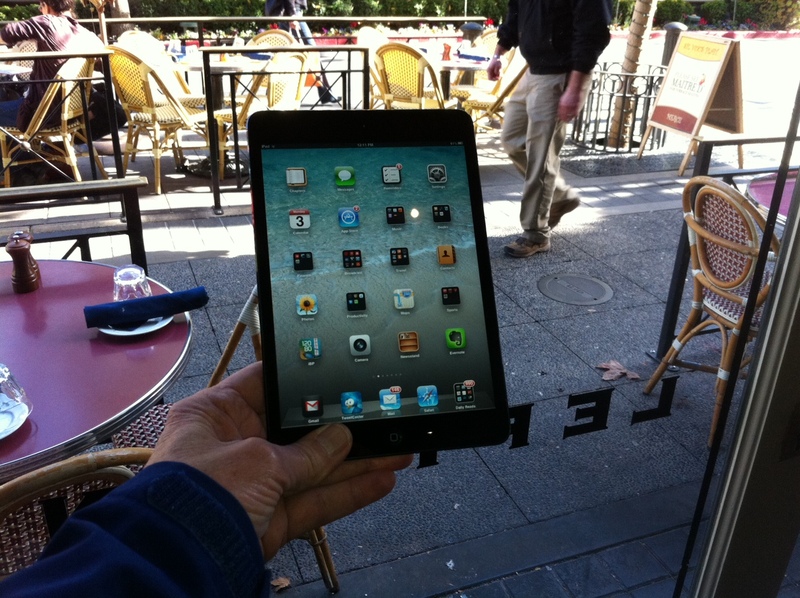 I personally think that a tablet device is almost a perfect traveling companion and the new iPad Mini is simply a near perfect rendition of that genre if you are on the go like I am. Let’s explore it a bit. It weighs about 11 ounces, let’s start there. You can throw it in a purse or a pocket (large) and barely tell that you have it with you. The screen is deceptively large and from where I sit is just fine for doing anything I do consuming content on the Internet. The screen is beautiful although it is not the state of the art retina screen Apple is using on their higher end products. I’ll be surprised if that isn’t added in the first upgrade likely to come out next Fall. I wouldn’t wait for it, though. This one is just fine. Watching a Hulu or Netflix movie on it is great. Productivity? You can do anything the regular Apple iPad does with this version. There are close to a million apps which cost anywhere from free to $9.99. Most cost a dollar or two. It comes with a full complement of apps and you will find yourself productive almost immediately. Setting up email is a breeze. I have five different email accounts in the email client and jump from one to the other effortlessly. Need to do more serious typing? I carry an Apple wireless keyboard (another 11 ounces) which hooks up to the iPad Mini via bluetooth and turns it into a virtual laptop. There are also lots of cases out there which serve as a combination keyboard and iPad case but I’m not a fan of them. I think they take away from the gorgeous design and featherweight heft of the mini. When I am out in public with the mini people constantly ask me about it. “Is that the mini?” I almost always hand it to them to get the “full experience.” As soon as they are holding it they are amazed. The wow factor is in the great design and the legendary Apple quality build. It only takes a moment to figure it out. 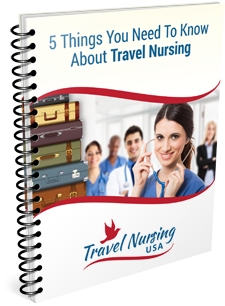 I think this is an ideal tool for someone out on a travel nursing job assignment. At $329 for the basic WIFI unit it is more expensive then the competition but in my opinion it is well worth the premium to have what I consider the best 7″ tablet on the market.